Jailyn Ingram and Xavian Stapleton will play key roles for a new-look Owls team this season. 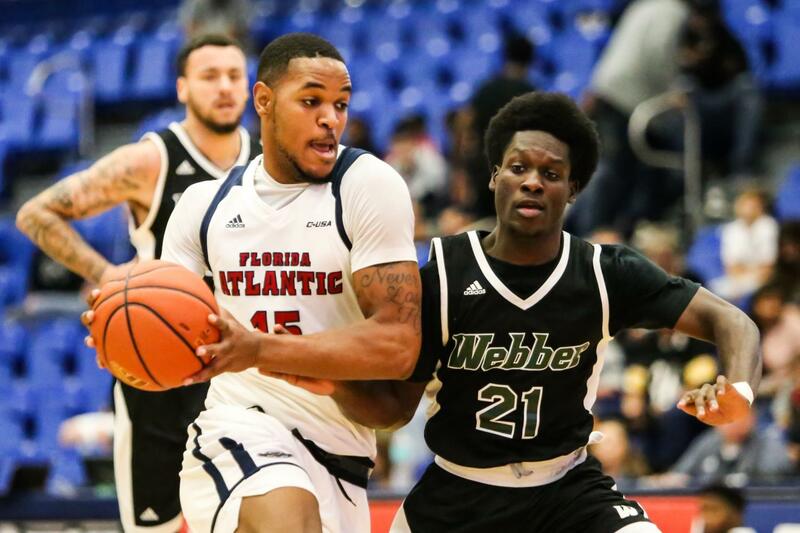 FAU sophomore forward Jailyn Ingram (15) heads toward the net while Webber freshman guard Rasheem Etienne (21) attempts to block. 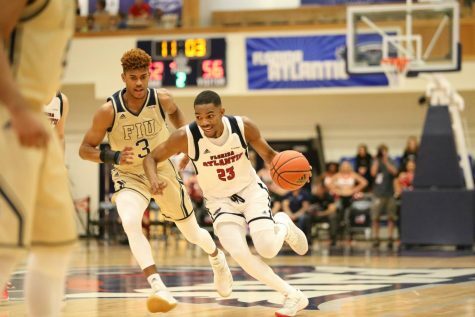 It’s the dawn of a new era for FAU men’s basketball, as the Owls enter the year hoping changes at coach and four of their five starting spots will lead them to a Conference USA title run in 2018-19. How will the shakeup play itself out on the court? The University Press previews the possibilities here. 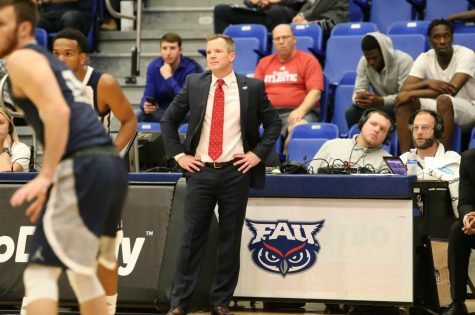 FAU is starting fresh with its head coach, as first-year man Dusty May takes over for Michael Curry after the latter failed to reach a winning record in any of his four seasons at the helm. 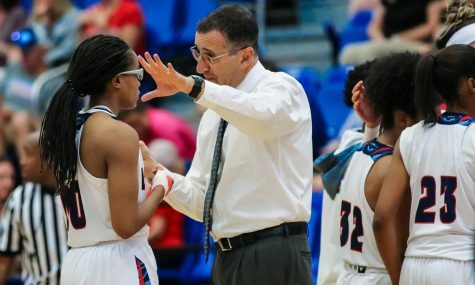 May signed a five-year deal in March 2018 after serving as an assistant at the University of Florida, where his Gators went 69-37 and made back-to-back NCAA tournament runs. 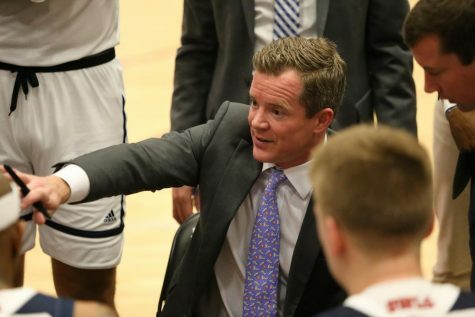 And it’s a return to Conference USA for May, as he was an assistant at Louisiana Tech from 2009-15. 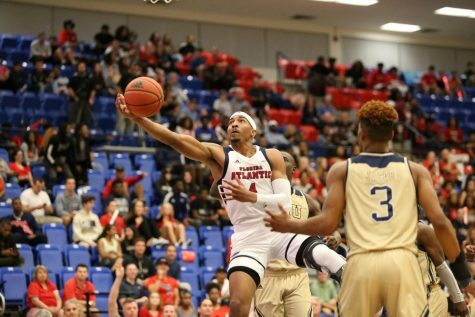 Jailyn Ingram is FAU’s lone returning starter from a season ago and will be a primary scoring option in 2018 after filling a complementary role for most of his Owls career. “He is blessed with a lot of gifts, but we need him to be a multi-positional threat where he can do everything on both sides of the ball,” May said of the starter. May said Ingram spent his offseason improving his perimeter shooting, and if he can consistently knock down the deep ball, he can open up the rest of the floor for FAU offensively. Another player set for a big role is Mississippi State transfer Xavian Stapleton. May said the 6-foot-7 guard will be a starter for the Owls after serving as a reserve for the Bulldogs over the past two seasons. 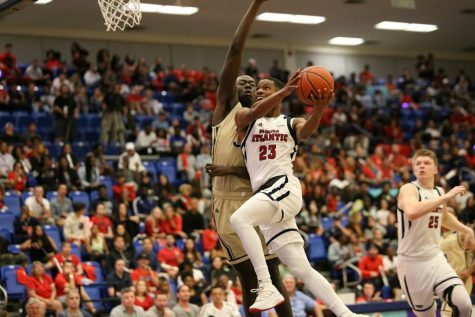 Stapleton played under May at Louisiana Tech as a freshman in 2014 and said his relationship with the coach influenced his decision to transfer to FAU. May said one strength of his team is depth, where if one player goes down, he has plenty of quality options to choose from in their stead. 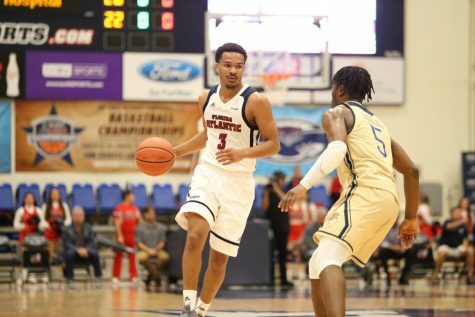 Promising freshmen Michael Forrest, Jaylen Sebree, and Kevaughn Ellis round out a deep FAU rotation that May will rely on over the course of the year. Last year FAU played an isolation, slow-paced style of offense, but that will change in 2018. May expects the Owls to spread the floor and play fast, keeping opposing teams second guessing defensively. That change in pace is much needed for the Owls, as they were one of the bottom three scoring offenses in Conference USA a season ago. 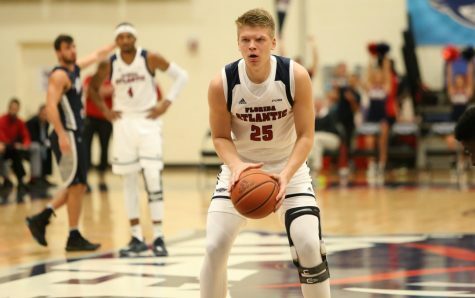 May admitted he is “still learning” about his team heading into his first season at FAU, but is encouraged by the progress it has made thus far. “I’m very happy with how the team is coming together during practice,” May said. It’s hard to say if this team will be better than last year because this season is essentially part of the “rebuilding” process. However, the Owls have an experienced coach with players that can make the offense flow much faster than last year. We’ll see if May can make both sides of the ball work with his new players and transfers. It’ll be an interesting and exciting season for the Owls, as this team is much different than last year. After defeating Florida Tech in the season opener to start the year 1-0, FAU is back in action tomorrow against UCF. Tip off in Orlando is set for 3 p.m.